Mr. Putin still plays his games, but now these are the "war games"
Mr. Putin still plays his games, but now these are the "war games". Does he want to grab Crimea? Grab he wants, but grab he can't and I doubt he would. Vovchick rattles his saber in rage, that's all he can do. намерены максимально тщательно отслеживать ситуацию в Крыму, однако пока не рассматривают даже гипотетических сценариев возможного вторжения иностранных войск на территорию Украины. Об этом в кулуарах Верховной Рады заявил Посол США в Джеффри Пайетт, сообщает УНИАН. "Что касается Крыма, то госсекретарь Керри высказался вчера очень четко. Он сказал, что США выступают за суверенитет и территориальную целостность Украины. Мы думаем, что демократическая и экономически процветающая Украины будет интересна для всех стран, включая Россию. Однако мы будем наблюдать за ситуацией очень внимательно и тщательно", - сказал Пайетт. "Вторжение – это все-таки гипотетическая перспектива, и я не хотел бы ее комментировать. Но я повторю: США выступают за целостность, суверенитет и территориальную целостность Украины", - подчеркнул посол. При этом Пайетт отметил, что США выражают одобрение процессами, которые происходят в Украине. "Все должны гордиться процессами, которые проходят в стране", - сказал посол. А генсек НАТО Андерс Фог Расмуссен призвал Россию воздержаться от действий, которые могут перерасти в напряженность в Крыму, об этом написал в своем микроблоге Twitter. "Я обеспокоен событиями в Крыму. Я призываю Россию не предпринимать никаких действий, которые могут перерасти в напряженность, или создать недоразумение", - написал он. Ранее "Главред" сообщал, что госсекретарь Джон Керри предупредил Россию, что возможное военное вторжение в Украину было бы тяжелой ошибкой. How many US troops died in Afghanistan last year? You have to watch this video to believe it. You can find the answer here. Note that the lion’s share of the 2,300 fatalities have occurred since Obama took his oath of office. My Thursday column is about Afghanistan and President Obama’s phone call during which he told Afghan President Karzai that he is asking the Pentagon to draw up plans for a zero option. I want to believe that Obama doesn’t want to exercise the zero option. For one thing, the next Afghan president surely will sign the document, and that should commit the administration to keep a limited force in country. At Tuesday’s briefing, Jay Carney said that the “further we go without a signed BSA, any contemplative post-2014 mission would be necessarily limited in scale and ambition because of the requirements of planning for that troop presence.” Schake takes that to mean that at best the administration seems to be leaning against Gen. Joseph Dunford’s request that 10,000 U.S. troopsremain, and instead will go with 3,000 troops. Whatever happened to outrage if a president didn’t listen to his generals’ advice on troop strength? It appears to have died with the Bush presidency. 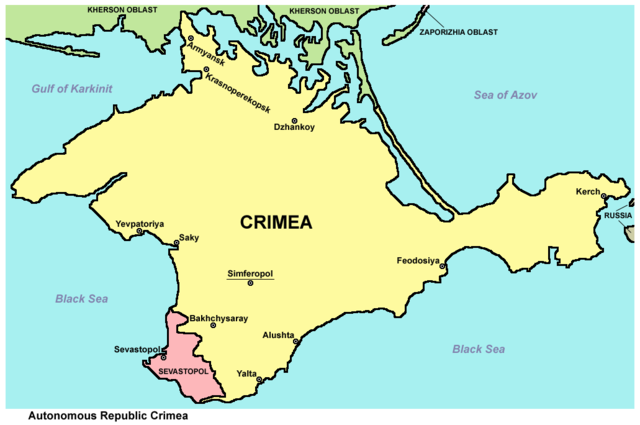 Tensions on the Crimean peninsular soared have after Vladimir Putin put the Russian army on high alert and Nato officials warned they would back the “inviolability of [Ukraine’s] frontiers”. Russia has ordered units in its western borderlands to begin a snap combat drills in reaction to the fall of former Ukrainian president Viktor Yanukovych. BRUSSELS (Reuters) - Russia must be transparent about military exercises along Ukraine's border and not take any steps that could be misinterpreted or "lead to miscalculation during a delicate time," U.S. Defense Secretary Chuck Hagel said on Thursday. Russian President Vladimir Putin ordered 150,000 troops to be ready for war games near Ukraine on Wednesday. On Thursday, Russia put fighter jets on combat alert. Hagel, following NATO talks on Ukraine, said the United States expected other nations to respect Ukraine's sovereignty and avoid provocative actions. "That's why I'm closely watching Russia's military exercises along the Ukrainian border, which they just announced yesterday," Hagel told a NATO news conference. "I expect Russia to be transparent about these activities, and I urge them not to take any steps that could be misinterpreted or lead to miscalculation during a delicate time." Hagel said he hoped to speak with his Russian counterpart in the next day or two. On Wednesday, U.S. Secretary of State John Kerry warned Russia it would be a "grave mistake" to intervene militarily in Ukraine and said it was considering $1 billion in U.S. loan guarantees and additional funding to help Kiev. Earlier this month, a Kremlin aide warned that Moscow could intervene and accused Washington of breaching their 1994 treaty, under which Russia removed Soviet nuclear weapons from Ukraine. It is unlikely the United States and its allies in NATO would risk an outright military confrontation with Russia. But the Russian rhetoric, ringing with echoes of the Cold War, underlines the high stakes in Ukraine, whose 46 million people and sprawling territory are caught in a geopolitical tug-of-war. Armed men seized the regional government headquarters and parliament in Ukraine's Crimea on Thursday and raised the Russian flag, alarming Kiev's new rulers. They urged Moscow not to abuse its navy base rights on the peninsula by moving troops around. Asked about the situation in Crimea, Hagel said it was important to "keep the tensions down." "This is a time for really cool, wise leadership, on the Russians' side, and on everyone's side," he said. U.S. Defense Secretary Chuck Hagel urged Russia on Thursday not to take any action on Ukraine that could be misinterpreted. At a news conference after a NATO defense ministers meeting, Hagel cited a concern that Russia could act in a way that would lead to miscalculation during what he called a "delicate time." Hagel said the U.S. is closely watching Russia's military exercises along the Ukrainian border, and that the U.S. strongly supports Ukraine's territorial integrity. He said the U.S. expects all nations to respect Ukraine's sovereignty and avoid provocations. The defense secretary said his staff was trying to set up a phone call for him with the Russian defense minister, Sergei Shoigu, and that U.S. Secretary of State John Kerry would also be talking to Russian Foreign Minister Sergei Lavrov. 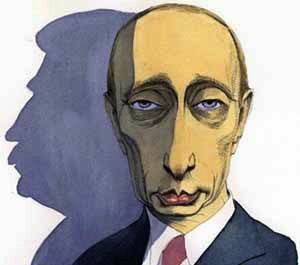 "This is a time for very cool, wise leadership, on the Russian side, and on everybody's side," Hagel said. Hagel and other NATO ministers met earlier in the day with Ukrainian officials.